RIM's BlackBerry Bold 9900 and 9930 are the announcement many 'Berry fans have been waiting for – a powerful touchscreen candybar with the signature keyboard by RIM and an all-new BlackBerry 7 OS. Featuring a 1.2GHz Snapdragon processor and a 2.8-inch "Liquid Graphics" VGA screen with a resolution of 640 x 480 pixels, the performance of the handsets should be excellent.While we're yet to decipher the Liquid Graphics part, it seems that it's the high-pixel density (287dpi) and expected framerates of around 60fps for graphical apps and games that justify the name. Both models run the newest BB OS 7, but the BlackBerry Bold 9900 (AT&T, T-Mobile) comes with HSPA+ 4G (supporting 14.4Mbps on the downlink) on board, while the Bold 9930 (Verizon/Sprint) is a global device coming with quad-band GSM and dual-band CDMA to support virtually every network out there. But most importantly, the new additions to the Bold lineup come with an improved QWERTY keyboard feeding on your texting addiction. The new handsets are very slim at just 10.5mm, easily becoming the thinnest by RIM so far, and look traditionally well-made with a brushed stainless steel frame and a high-gloss glass-weave back. In terms of functionality, RIM has added an NFC chip, that could be used for mobile payments, as well as support for Augmented Reality applications. The handsets also feature a 5-megapixel flash-equipped camera capable of 720p HD recording and 8GB of internal storage. If all that sounds alluring, you won't be disappointed with the release date. 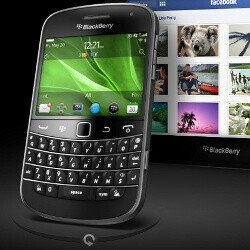 While a specific date wasn't pointed out, the new BlackBerry Bold 9900 and 9930's release date should be sometime "this summer." “The new BlackBerry Bold smartphones and BlackBerry 7 OS are inspired by millions of customers around the world who want the ultimate combination of performance, functionality and style,” RIM co-CEO Mike Lazaridis said. A nice start to BlackBerry World in Orlando, but is this the next-generation of 'Berries you personally have been waiting for? Let us know your thoughts in the comments below. THIS!!! HAHAHA .. just give it a reasonable price RIM, and I'm gonna ditch iPhone for this!!! I do NOT feel like waiting until Q3 fo this though! Love it. Screen is bigger and with touch and keyboard. What carrier do you have? I have sprint and I looked to see if it was even on the blackberry website but it says that it's "coming soon". Are their any downfalls to the blackberry 9900 (or 9930 if you have that one)? This will hopefully be my first blackberry and I want to love it. Thanks! RIM (and many other companies) needs to stop this announcing and then release during the summer crap. Announce the phones when they are ready to go out immediately. No one wants to wait. Does anyone know if this will be coming to Sprint? I know there's a cdma version so I'm hoping but I haven't seen anything concrete. 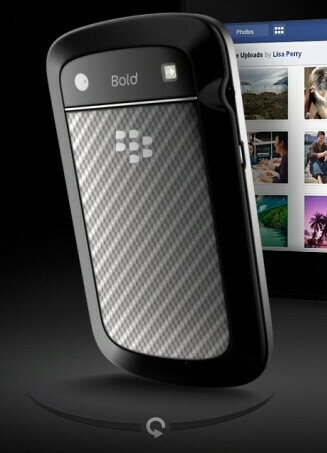 Finaly, next Generation of BB Bold!! I cant wait!! Still waiting on front facing cam and flash support. Flash is diff not dead yet and won't be for awhile. Also what is it with a 5 mpc? Can we argee that we should a lest start with 8mpc by now. My lord Rim get with it. Goodbye 9700 I need a lady that trys to stay fit. This looks nice.. I might replace my existing Bold with this one, but it still won't replace my iPhone. Sorry. Wow... I hated my old Blackberry, but this phone makes me want to take a second look. That is a really compelling spec sheet and the newer BBOSs are pretty nice. finally!!! My last ever perfect phone was the palm treo family which was pretty dinosaur compared to all these. I have the torch and hate it terribly wishing I had my ever loved curve shape + the power and features of the torch. Now it here! CANT WAIT! txs RIM!! I want this so bad! I cannot wait! I will leave my Android for this! please let it be soon this summer!!! you have us so excited! So excited about the first 4G BlackBerry smartphone. Latest rumor I heard is that the next iPhone to come out will not even be 4G. Glad to really see BlackBerry getting its act together by bringing out a device that will compete with Android and the iPhone. The Torch was a good attempt by RIM to compete in that market but unfortunately, the Torch had some problems. If the iPhone 5 does not have 4G capability, Apple may as well just leave the phone business. i have the blackberry bold 9700 with os 6 and i love it. but the 9900 looks amazing i want to get it, also i thing that rim should let you have the option to turn the touch screen on or off cause i dont really like touch screen!!! When can I get one??? Please sometime soon, by Curve has seen MUCH better days. when does it come out for verizon? I am excited that Rim is releasing a new product. However, I hope their BES plan reduces otherwise bye bye rim! $40 for 500 MB in Canada is outrageous for emails and browsing! This will determine whether I am a future Rim customer. Good discounts! Thanks, dude. Cell phone cases are available in many styles andtypes there. WHEN DOES THIS PHONE COME OUT FOR SPRINT?!?!?!?!?! I have been waiting and asking for a touchscreen blackberry since last november... WHOOOOO HOOOO... thank god i have been waiting on upgrading my blackberry i currently have and was close to getting the sprint HTC, but i am a blackberry lover so i was willing to wait it even if my phone was dying which it is.... so this is some great news.